For many years people missing multiple teeth had limited options when it came to replacing these missing teeth. Receiving individual dental implants on multiple teeth was too costly and time consuming so the most affordable and popular option has long been to get dentures. This was unfortunately not a suitable solution for many people. 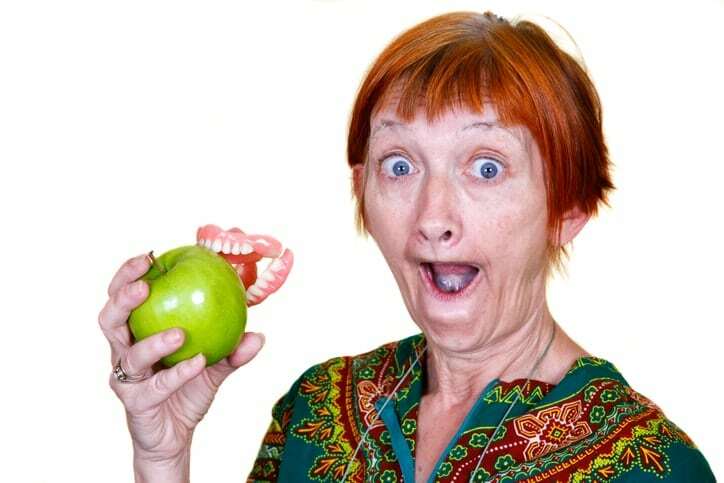 There are several problems that arise from having traditional dentures such as having them fall out easily, not being able to chew or speak properly and having the jawbone deteriorate from a lack of occlusal forces on the jawbone. These are just some of the drawbacks associated with having dentures as a tooth replacement method. For several years now there has been a new solution known as dental implant overdentures, also known as all-on-4 dental implants. These are a great option for people who can not afford to have multiple dental implants inserted but want the benefits that come from dental implants. What Are Dental Implant Overdentures? Dental implant overdentures are essentially a cross between dentures and dental implants, exactly as it’s name implies. 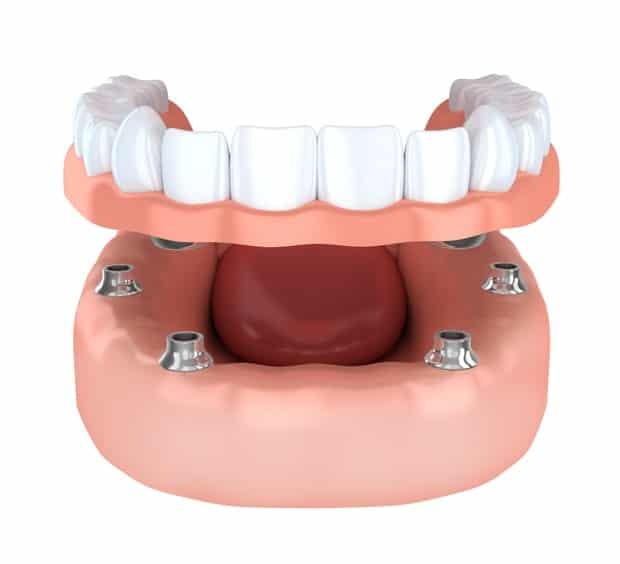 So instead of holding the dentures in place with some sort of bonding gel, dental implant overdentures are secured by attaching them to several titanium posts that are implanted directly into the jawbone. To hold an entire arch of artificial teeth in place typically requires anywhere from 4 to 8 titanium implants. This can be accomplished because the implants are placed at specific angles giving the denture implant more stability once it is attached. Once they are inserted into the jawbone and fuse properly, a specially made denture can be easily attached and removed from the implants. This gives the wearer full functionality of their new arch of teeth, unlike traditional dentures. These are just some of the benefits that come with dental implant overdentures. Although they are the best option, it is not an option for everyone since they are still more expensive than getting traditional dentures. In the long run, however, the cost of getting dental implant overdentures can be similar to dentures since they require less maintenance and tend to last much longer. Who Is A Good Candidate For Dental Implant Overdentures? Many dentists and periodontists now offer this solution for people who are missing multiple teeth. Some are even able to complete the entire process in one sitting, allowing people to walk in with not teeth and leave with an entire mouth of fully functioning teeth. This, however, is rare and in most cases the entire procedure, including healing time can take several months.